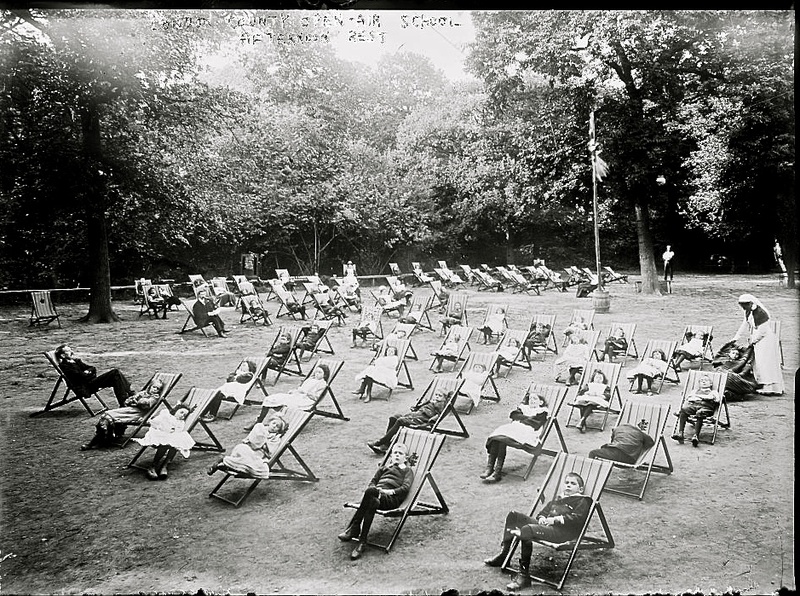 Open-air schools in Europe and the U.S. were part of an effort in the first half of the 20th century to combat the rise of tuberculosis. The first — a waldeschule or forest school — was built near Berlin, Germany, in 1904. 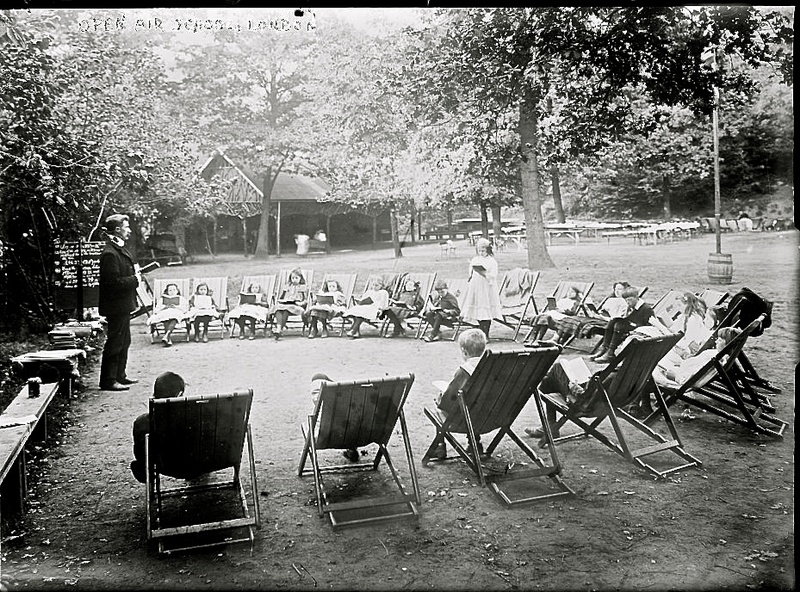 An open-air school was created in England in 1907 by the London County Council. This may be the school pictured here. A second London school was organized in 1908. By 1937, there were 96 open-air schools in Great Britain. Photos and captions by Bain News Service via the Library of Congress Prints and Photographs Division (no dates provided). ADDENDUM: More on open-air schools here, on the blog Messy Nessy Chic. In India, till a century back, we used to have a system called “Gurukul.” This picture reminds me of one. I looked up Gurukul here: http://en.wikipedia.org/wiki/Gurukul. Very interesting. Thanks! I would have liked that so much better than indoor school. Though perhaps not in January in northern Pennsylvania. Oh, I know. And in rainy England, they must have often used the shed-type building in the background in the 2nd. picture.